center: Lottie Davison at Frarentha with her three operators (left) and the state inspectors (right). QUITMAN – Lottie Davison sat in her wheelchair, guarding the doorway in her dimly lit room. Her white hair was neatly set, and specks of gloss highlighted the creases in her lips where a swipe of red lipstick lingered from the morning. Mrs. Davison, 106, was expecting company. Fifteen minutes before her appointment, she said she did not feel well. But the staff at Wesley House Assisted Living in Quitman knew her feeling was just nerves. 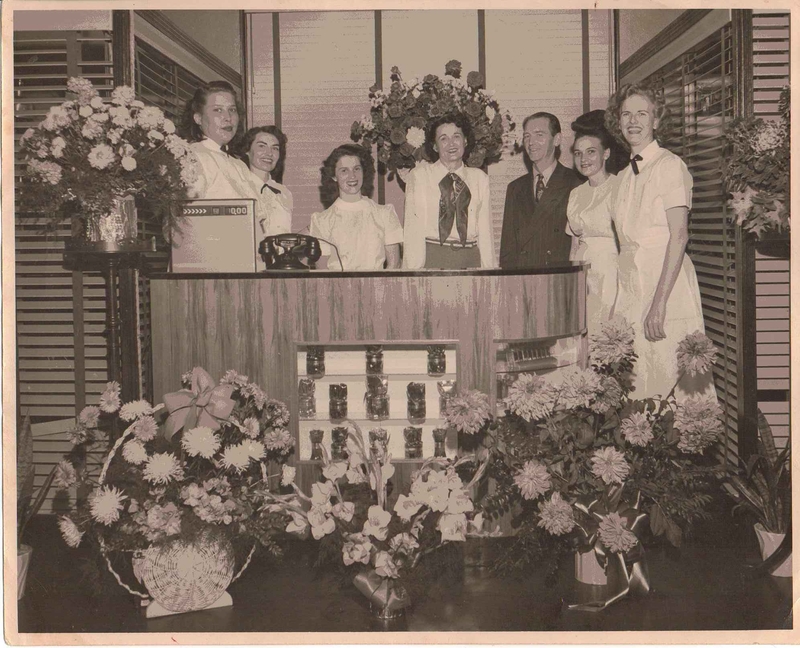 As a hairdresser for the Texas Rose Parade, Mrs. Davison never spent much time in the spotlight; her clients and their daughters were the stars. 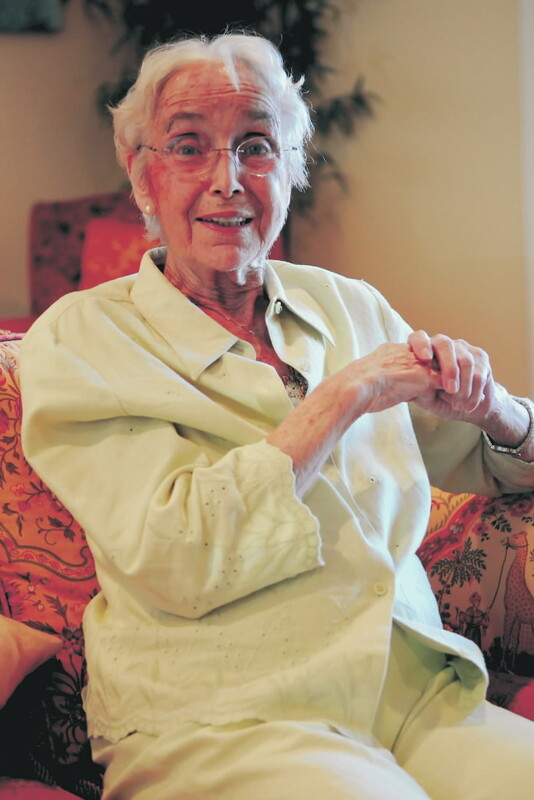 Jutta Schreiner’s childhood was filled with brainwashing, war and faith in the Nazi Party. As a 9-year-old German girl, she survived the British Royal Air Force’s attack on a German city, her hometown, Lubeck. About that time, she enrolled early in Hitler Youth and three years later, as the war was ending, she helped her mother destroy the last traces of her father’s existence and ties with the Nazi Party. Ms. Schreiner, now 77 with her white, wispy hair and frail stature, says it was for safety – an effort to protect the family from association with the Nazis if her father ever came home from the war. Her book, “The Signature Call,” shares snippets of surviving the war – stealing coal, hiding from airstrikes, joining Hitler Youth, and the day her father returned from the war. RUSK – Passersby purchasing stamps and mailing parcels discretely step around a rickety ladder blocking the front window to the post office in Rusk. He dabs the cloth against a painted denim leg. “I’m just trying to see what’s going on here,” he says. MINEOLA — The unassuming eye could easily ignore the remnants of the past, tucked away in paintings in corners of East Texas buildings. 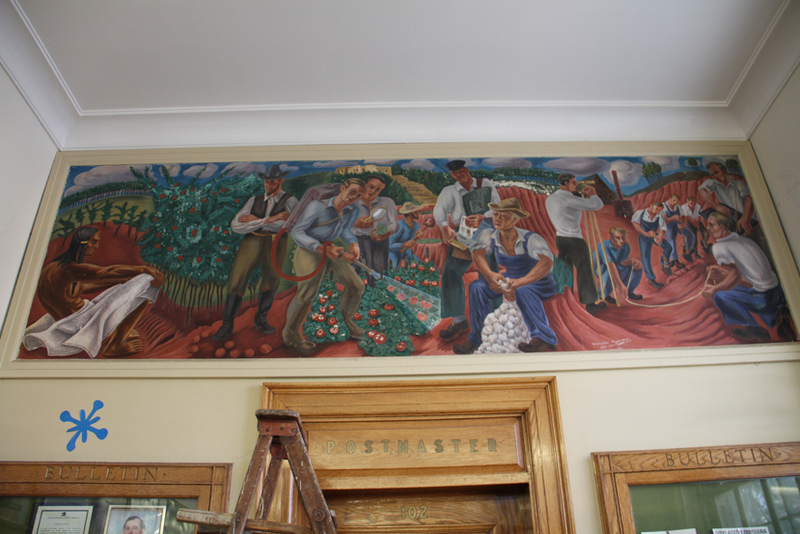 But these paintings in Kilgore, Longview, Mineola and Rusk post offices represent Depression-era artwork commissioned by one of the federal government’s largest New Deal agencies, the Works Progress Administration. By assisting professional artists in finding work during the Great Depression, the agency indirectly left behind a trail of history and culture found not in European museums, but in the familiar surroundings of their communities. GRAND SALINE – Dust from Tony Phillips’ sweet potato fields fills the leather creases across the toe of his workboots. Along the soles, salt from his second job cakes the rubber bottoms. During harvest season, he easily puts in 20 hours a day – a full night at the Morton Salt Mine and a full day in his field. Like the dwindling number of sweet potato farmers in East Texas, he kept a second job to have a backup to the exceedingly risky farming industry. With his white beard and hefty size, Tom Sorrels often is mistaken for Santa Claus. This summer, he was leaving a Mexican restaurant when a little girl told him he looked like Santa. The remark left an impression, and that led to him dressing the part and helping the big guy from the North Pole during the holiday season. 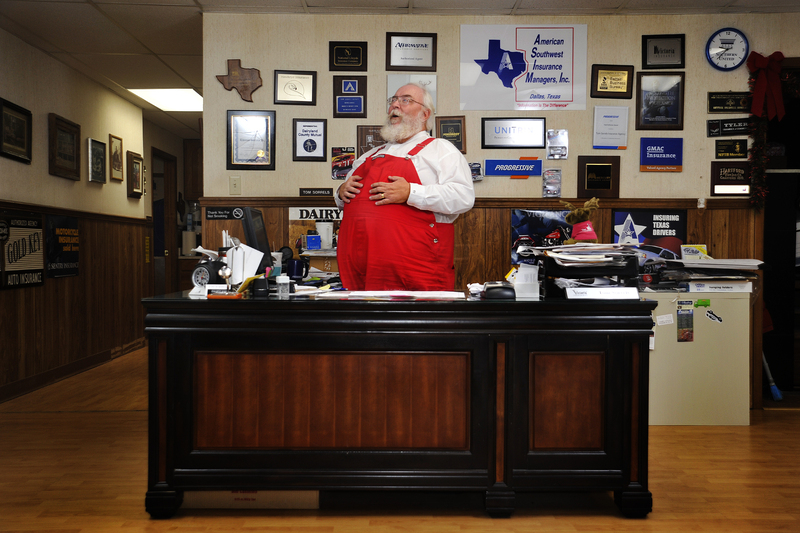 Sorrels is among dozens of East Texas men who sport a Santa look not only around Christmastime but year-round or a big part of the year. Their looks garner stares and frequent inquiries from innocent children. He had previous Santa experience – a Santa internship from in the 1970s at Lamar University when he worked for a Rent-A- Santa – but had not given much thought to playing Santa since. All that changed this summer after one child’s remark. ATHENS – Old, rusty, broken-down Volkswagens are as good as gold to Don Carter. 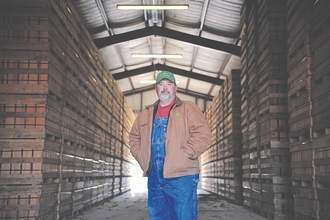 After more than 30 years in business, The Bug Barn is reaching an international market through online sales that’s keeping business bustling. Dustin Carter, the second-generation behind the Volkswagen lot, has taken a vested interest in the company and his father’s legacy.